Your wet basement can be improved and your foundation protected with basement waterproofing by KV Tech Construction. Excess basement water and dampness can affect many areas of your home beyond the obvious damage to your foundation. Repeated flooding and high moisture can decrease the lifetime of essential heating, cooling and hot water systems that are located in the basement. Excess moisture can also seep into your living areas causing harmful mold growth and musty smells. If your home does not have a basement, crawlspace encapsulation by installing a can address moisture problems in those locations. Waterproofing technology can make a huge difference in a damp basement and can keep your home’s foundation structurally sound. We’ll inspect your basement for structural damage, including any cracks, stair-stepping in concrete blocks, bulging walls or insufficient drainage. We’ll also take a look at the areas outside around your foundation. 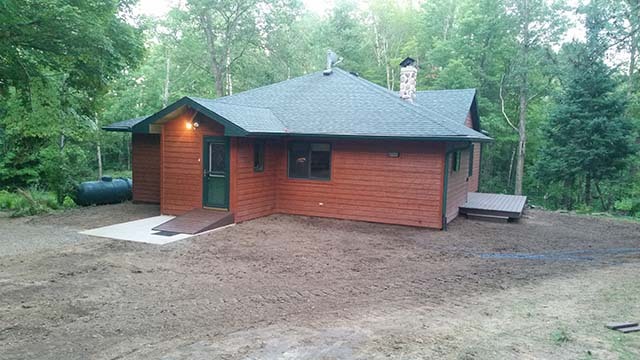 Poor grading, heavy clay soil or poor rainwater management can also contribute to water problems in your northern Wisconsin home. How Do We Waterproof Basements? Once we’ve reviewed the basement and foundation inside and out, our basement waterproofing team will develop a plan. On the exterior, our crew will excavate around the outside of the basement walls. We often find that this area was backfilled with heavy clay soil that impedes good drainage. Inside, we’ll look at existing drainage systems, including drain tiles, sump pits and pumps to determine whether upgrades are needed. 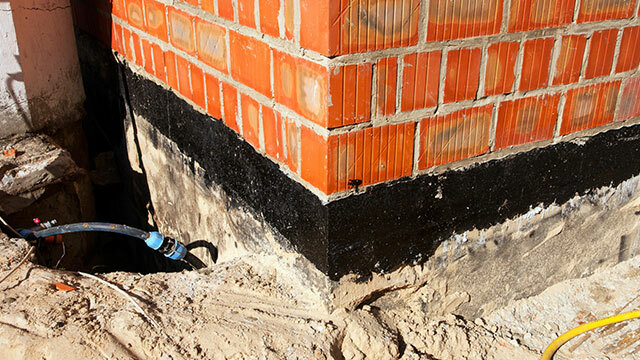 We’ll also seal and repair any cracks or deteriorated concrete to ensure a sound foundation. 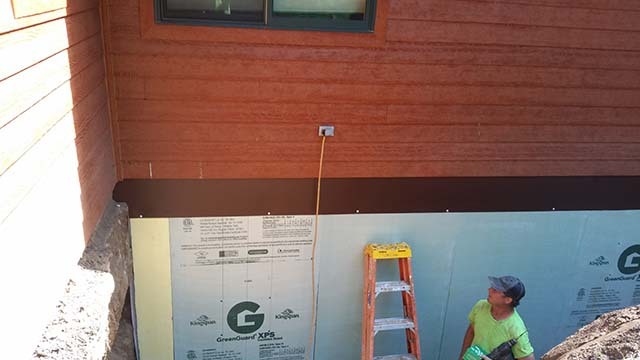 With the exterior basement walls exposed, we’ll seal any visible cracks and fill in missing mortar between blocks, then clean and dry the wall surfaces to allow for complete adhesion. The workers then apply a primer contact cement to smooth out the concrete wall surface. Once that primer is dry, we’ll apply a peel-and-stick waterproofing material called Mel-Rol to the clean, dry foundation wall. Once the exterior basement walls are waterproofed, we’ll complete the drainage system to keep water away from the foundation. Our excavator will dig down to the bottom of the house footings. 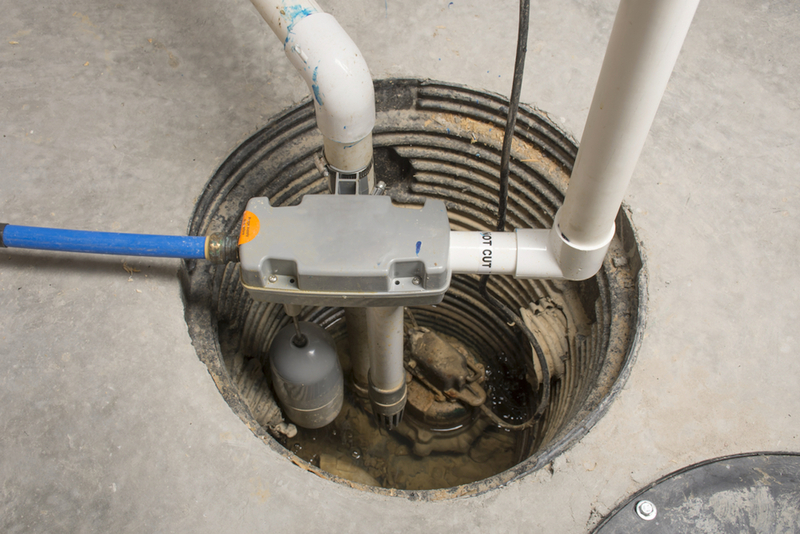 There we’ll install drain tile — sometimes called a French drain— to carry water away from the foundation. We’ll cover that drain tile with washed rock. Then, a layer of fabric will be rolled out to keep silt from building up. Finally, the area is then backfilled with sand. Once the exterior construction is complete, we’ll also make sure that the final grading around the house slopes away from the foundation. We can also inspect the downspouts and make sure that they, too, are directing water away from the basement of your home. Persistent water problems in your basement? Contact us or call (715) 765-4483 to waterproof your basement. Don’t let moisture seep into your home. Control basement moisture for good.